There were two big celebrations at our crop on Saturday, that I just have to share with you all. I can’t share the inside pages just yet, as this album will be given as a surprise birthday gift in a couple of weeks. But trust me – it is the most amazing documentation of her daughters’ dance career – and I KNOW this will make the best 18th birthday present. There is so much LOVE in this book it’s incredible – and it’s not just her daughters’ dedication to her dance that’s represented – when you take a step back, you realise how much dedication Debbie has given to that dance career. I am so proud to be your consultant Debbie, and to have helped in some small way with you creating this gift. Make sure you’ve got the camera ready when you give it – because I know there’ll be tears! Saturday’s crop was doubly special, because along with my ‘regulars’ we also had one newbie. Amy was attending her first crop, working on her first project. Amy has a few projects to do, but with her husbands 40th looming in just a couple of weeks, she thought it would be nice if she could do something for him, and came to me for guidance and advice on this. Well – I can tell you that Amy had already created the perfect platform for a home made gift. For the last year or so, she has kept a journal of her positive observations of her husbands actions. As she said, it’s all too easy to focus on the negatives, and what they don’t do, so she decided she’d turn that around, and focus on all the things she saw that he did that made her appreciate him. It’s not a daily journal (because that would be too hard on too many fronts!). I just love this idea – and it could be one you could do with your partner, or with your children. I think this type of journal could pay dividends in so many ways. Firstly – for you writing it. If you’re thinking positive thoughts about someone, you’re more likely to feel more positive about them – and those thoughts will will shine through in your actions – creating a better environment. If you share those thoughts (as Amy has done in her book (stay tuned), then those individuals are probably going to feel pretty good about themselves, and perhaps try and re-create those behaviours, because they can see they’re appreciated. It’s such a win win! So as you can see, I was just delighted to hear about Amy’s journal, and with her two week deadline, I knew I had the perfect products to help her create the ultimate gift. 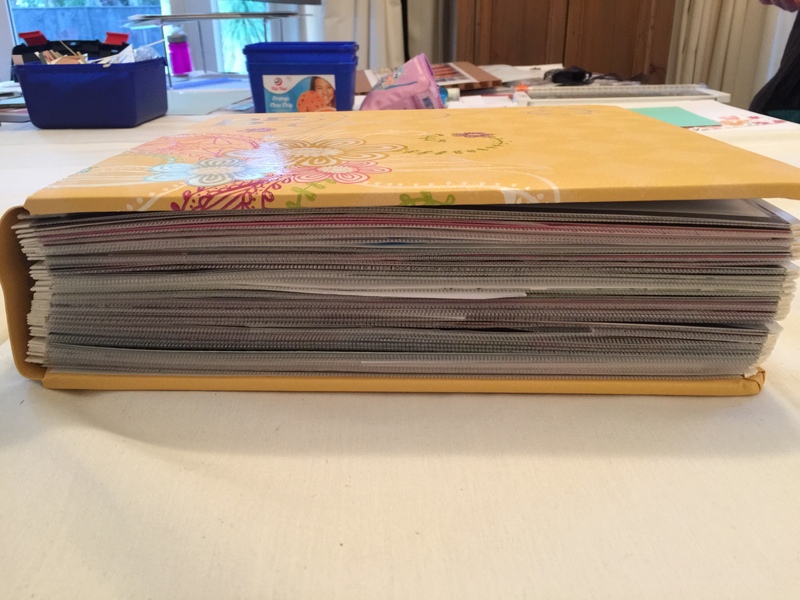 So, armed with her photos, her journal, a selection of 8×6 memory protectors, the My Crush Adventure Calls pages, and the Everyday Life album cover, Amy started. She worked like a demon – and ….. FINISHED! (well, almost – she’s just got to go home and journal, but the structure is all done). How awesome is that? Just one afternoon, to create the most amazing book of their life together over the last 20 years, interspersed with these beautiful journal entries of all the little things she’s ‘caught’ him doing that she appreciates. 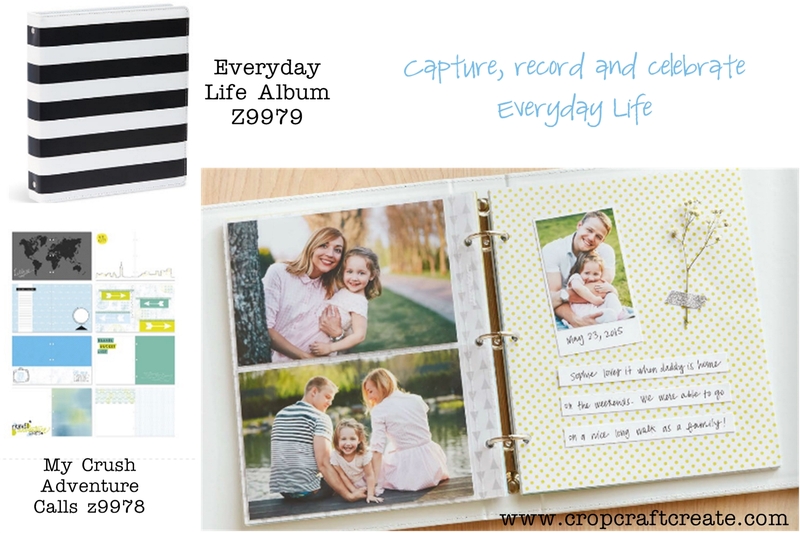 Our Everyday Life books are so great for smaller projects, or as an ‘entry level’ project. I can tell you Amy’s caught ‘the bug’ and is already planning her next project! I can’t wait to hear about the reaction when hubby receives the album – I just KNOW the love in the room that day will be phenomenal. So proud of you Amy. Can you see the ‘sneaky peek’ …. ?? ?